There is no commercial team on Gasherbrum I this year unlike other 8000ers in Pakistan (Broad Peak, K2 and Gasherbrum II). Climbers on Gasherbrum I are on their own to fix route and open trail. It was decided by all teams that they will pool their hands to fix route from camp 2 to camp 3, which is most technical part of climbing the mountain. Ferran, Yannick, Thomas, Sadiq, team of three Taiwanese climbers with two porters, Simone La Terra and his porter, and Nick Rice held a meeting and put together summit strategy. Leave base camp on July 14th and ascend directly to camp 2 around 6500 meters. Spend two nights in camp 2 and climb to camp 3 on July 16th. Attempt summit on July 17th from camp 3 (7100m). They faced terrible winds and heavy snow when they reached camp 2 on July 14th. 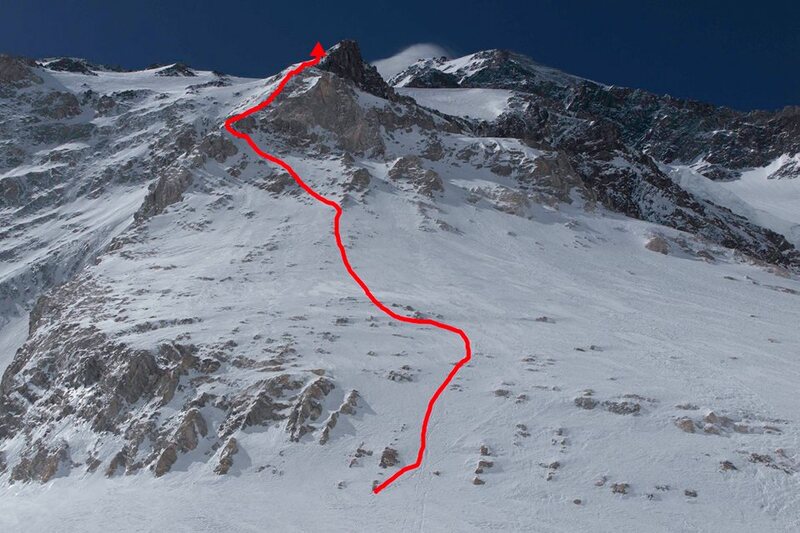 It was decided by all climbers that they will not climb the normal route from c2 to c3 which goes through Japanese couloir, due to deep snow and avalanche danger. They instead choose to go for an alternative route on right side of Japanese couloir. Yanick and Ferran started opening trail on July 15th and opened up to 6700 meters. 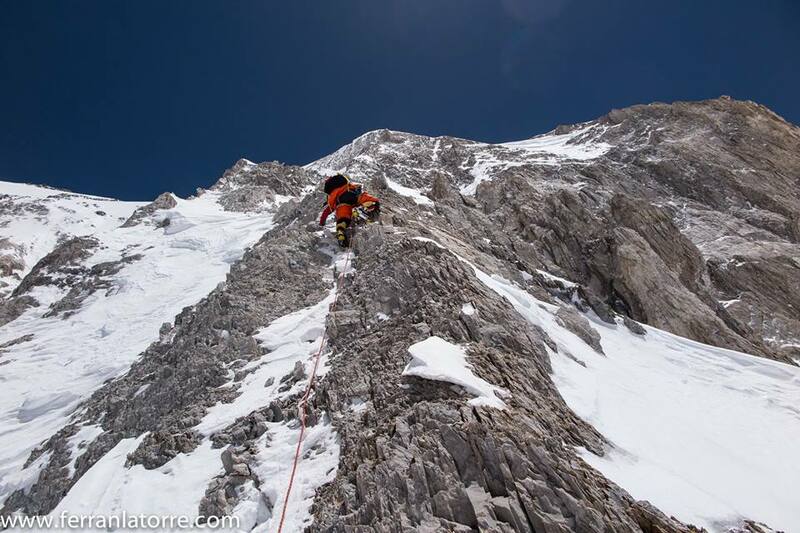 July 16th was the day they were suppose to climb to camp 3 and also fix 1000 meters of rope. 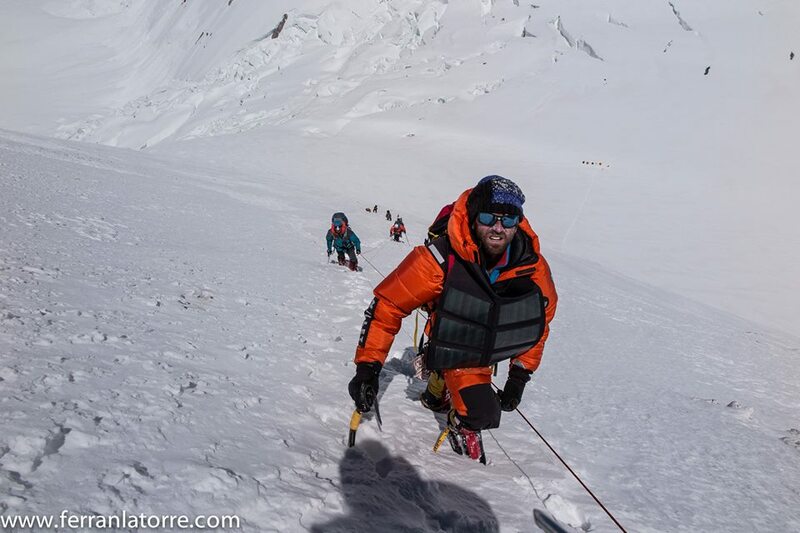 Ferran and Yannick started fixing route, and it took them 9 hours to reach camp 4 7060 meters. Gasherbrum I alternative native from Camp 2 to Camp 3. 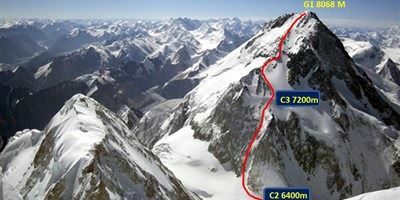 Gasherbrum I alternative route between Camp 2 and Camp 3. 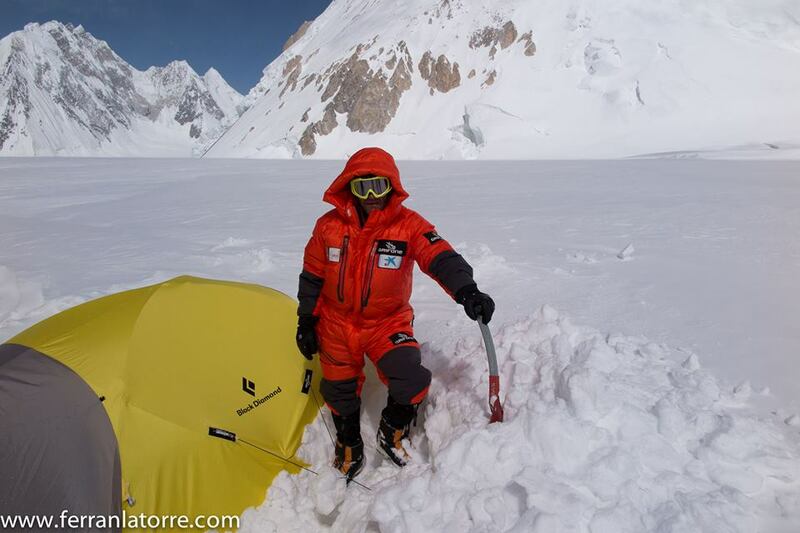 Ferran, Yannick, Thomas and Sadiq reached camp 4, rest of teams choose to descend to camp 2 few meters below camp 3. Four climbers spent night in camp 3 in heavy storm (which was on forecasted), they decided that weather is too unpredictable, they should descend down and wait for next weather window. 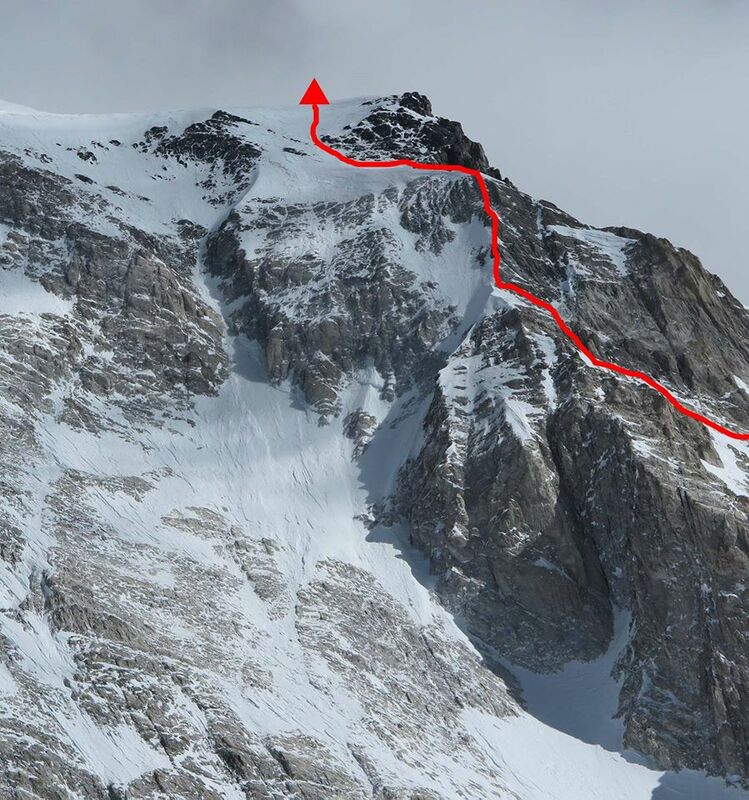 All climbers are back in base camp now and waiting for weather window to push for summit, currently snowing in base camp, weather window expected after July 21. 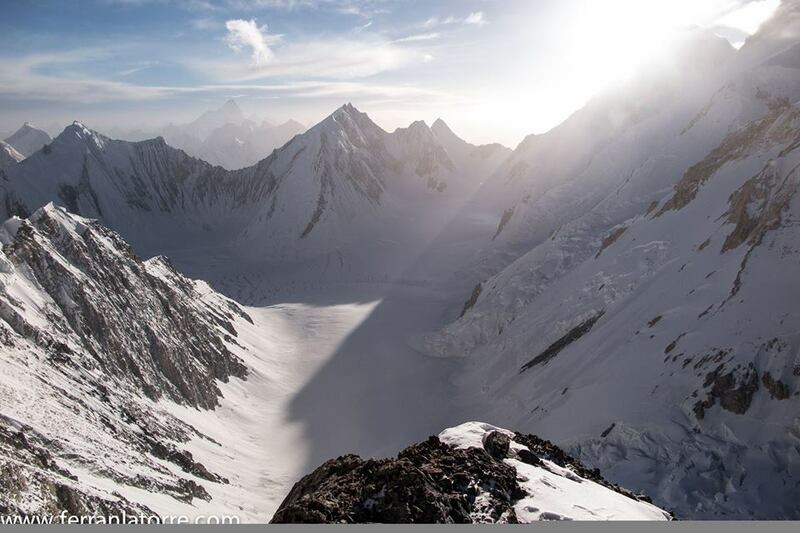 Gasherbrum I climbers ascending to Camp 3 on alternative route.